Below is a comprehensive list of hotels in Trewellard. Use the sort links to refine your search or to find featured accommodation in Trewellard. Many of our hotels in Trewellard feature no booking fees and best price guarantee when booked through the Pictures of England website. To list your hotel in Trewellard, click here. Featuring a barbecue, Dovecote is a holiday home set in Portreath in the Cornwall Region. The unit is 16 km from St Ives. There is a dining area and ..
Badgers Corner is a holiday home with a barbecue, located in Portreath in the Cornwall Region. The unit is 16 km from St Ives. The unit fitted with a.. 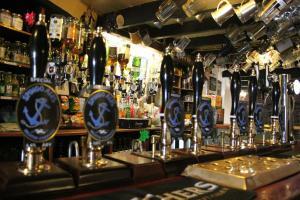 Along the north Cornwall coast, around 30 minutes’drive from Newquay and St Ives, Portreath Arms Hotel has a cosy bar and restaurant serving fresh h..
Set in the centre of Helston, No.52 Bed & Breakfast offers en suite rooms with a flat-screen TV. 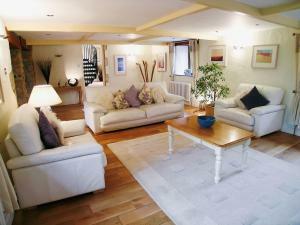 The property is a 25-minute drive from both Falmouth ..
Offering a spa centre and sauna, Gwel An Mor is set in Portreath. St Ives is 15 km away. Free WiFi is provided . 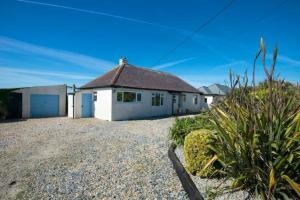 The accommodation comes with a dinin..
Set in Portreath, this holiday home features a barbecue. It provides free private parking. The kitchen features a dishwasher. Towels and bed linen ar..
Eglos Derry Farm Cottage is a holiday home with an indoor pool, located in Helston, 2.4 km from The Flambards Experience. Providing free private parki.. Located in Helston, this holiday home is situated 2.4 km from The Flambards Experience. The property is 5 km from The Cornish Seal Sanctuary and free ..
Pastrol Cottage is a holiday home set in Illogan in the Cornwall Region and is 15 km from St Ives. The property is 24 km from Newquay and boasts views..
Mariners Cottage offers accommodation in Penzance. The property is 15 km from St Ives and boasts views of the garden. Free WiFi is offered throughout .. Featuring a garden, The Tack House is a holiday home situated in St Just. The unit is 15 km from St Ives. An oven, a toaster and a refrigerator can b.. Featuring a garden, Sparrows is a holiday home situated in Morvah. The property boasts views of the garden and is 12 km from St Ives. 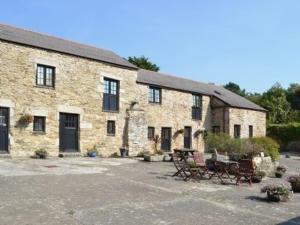 The kitchen fea..
Set 12 km from St Ives and 48 km from Newquay, Kestrels offers pet-friendly accommodation in Morvah. The property is 40 km from Falmouth and features ..
Mossley Cottage offers pet-friendly accommodation in Sennen Cove, 4.2 km from Minack Theatre. The property is 6 km from Land's End and free private pa..
Lylies Cottage is a holiday home located in Morvah, 12 km from St Ives. It provides free private parking. There is a dining area and a kitchen comple.. Situated in Sennen Cove in the Cornwall Region, this holiday home is 3.4 km from Minack Theatre. It provides free private parking. Free WiFi is availa..